Chania the capital of the Prefecture of Chania is located on the north-eastern part of the County. 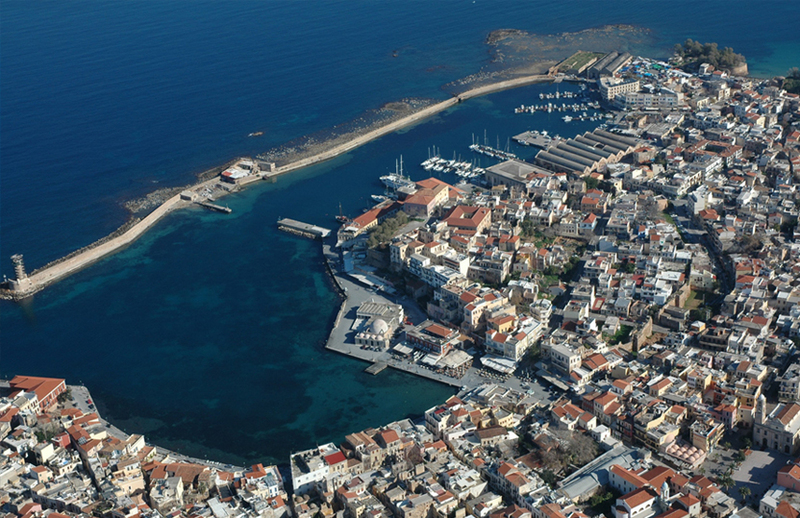 Chania is the administrative, financial, commercial and communication centre of the County which bears the same name. the beautiful city of Chania managed to keep local authentic colours, although the increasing tourism. It is considered one of the most beautiful cities in Greece and most picturesque in Crete. Chania are characterized by intense spiritual life. Many cultural events take place each year (exhibitions, festivals, theatrical and musical parstaseis, Visual Arts, etc.). The city has two entrances: the airport of Akrotiri and Souda port (the largest in the Mediterranean). The natural port of Souda 7 km. from Chania is connected daily with the harbour of Piraeus with ships. During peak tourist periods besides the usual Nocturnes, performed and daily schedules. Urban and long distance buses start from Souda for all destinations in the Prefecture of Chania and Heraklion. (Tel KTEL 28210-93250). From the port of Souda visitors serviced with taxis at 18300. Chania connected ferry daily and all year round with Piraeus. The company is Anek Lines departs daily from the port of Hania at 21.00 and approximates in Piraeus next morning at 06.00. For information on arrivals and departures can be contacted and with the port of Chania on the telephone 28210 89240. Air Champion24 .com offers ferries to and from Chania on all services performed from any port of Greece. You can easily search and choose your ferry route that it serves, easily and instantly. The booking takes place in real time using your credit card or by making a booking with the help of the staff of our Office.